The fourth major installment in the post-apocalyptic RPG series launched in 1997 by Black Isle Studios and Interplay. 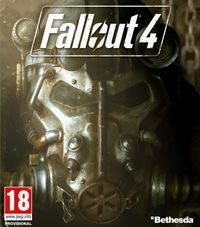 Fallout 4 is the fourth full-fledged installment in a cult post-apocalyptic RPG series originated in 1997 by Black Isle Studio and Interplay company. After the developer studio was closed and Fallout Tactics: Brotherhood of Steel came out for PlayStation 2 to mixed reviews, the franchise was taken over by Bethesda, and the company’s subsidiary created the third and the fourth part of the series, the latter released on PC and the eight generation consoles. This developer is also known for the cult series The Elder Scrolls, whose latest installment, Skyrim, appeared in 2011 on PC, PlayStation 3, and Xbox 360. Fallout 4 PC offers some improvements as compared to console versions. First of all, the more powerful system you have, the better resolution and faster animation speed you enjoy, whereas PlayStation 4 and Xbox One are locked on 30 FPS in 1080p. Another important aspect is modding. On PC version mods are published almost the same way as in the case of Skyrim. In short, players can freely create and install modifications. Console owners can download and install PC mods published on Bethesda.net as well. Depending on individual preferences, you can play Fallout 4 in first or third person perspective. Gameplay mechanics is based on solutions known to Fallout 3 veterans. Back in the game are such landmark features as S.P.E.C.I.A.L. attribute system or V.A.T.S. aiming system that allows to make a precision shot to a selected part of an enemy’s body. The game also lets you own a dog, whom you can give out simple commands. The main focus, however, is on absolute freedom of gameplay, so it is entirely up to you as to where to go and how to shape the story. In comparison with the previous installments in the series, crafting system was much expanded, letting you recycle various objects and use them to create entirely new items or even construct buildings to provide shelter to the protagonist, his dog, and other survivors. The game offers 50 base weapons, all of which can be subjected to over 700 modifications. Moreover, Fallout 4 brings back enhanced PipBoy, a mobile command center, also offering simple mini-games. In the original, English version of the game, male protagonist speaks with the voice of Brian T. Delnay, an actor known from games like Batman: Arkham Knight or Evolve. If you choose to play as female character, you will hear Courtney Taylor (Jack from Mass Effect series or Juhanii from Star Wars: Knights of the Old Republic). In terms of visuals, Fallout 4 for PC, PS4 and XONE is based on a modified version of Bethesda’s in-house Creation engine and looks much better than the previous games. Despite many changes to gameplay mechanics and user interface (e.g. a new dialogue system), the authors managed to retain key elements and the series’ unique atmosphere. Fallout 4 received a collector’s edition, which includes – let alone the game itself – special steel case, poster, PipBoy pocket guide, and a wearable PipBoy replica. You can place your smartphone in it and use it with a dedicated app. The modding community is Fallout 4’s lifeline these days. We’ve picked a dozen mods to make your return to the post-apocalyptic wasteland much more bearable.